The Billings Mustangs had already taken the lead in the 10th inning. Kevin Jones just sealed the win. Coming up with two men on and two men already in, Jones hit what The Deseret News described as a "bloop single" that pushed the Mustangs' lead in this August 1990 contest to 8 to 4, where it would remain for the Billings win over Salt Lake. 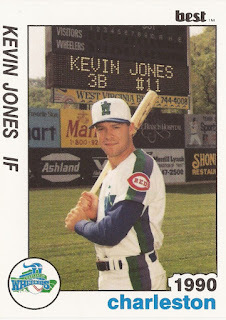 Jones hit that bloop single in his second season as a pro, his first as a position player. He would see time in just one more season, never seeing time above single-A. Jones' career began in 1989, signed by the Giants as an undrafted free agent out of Seminole State College in his native Oklahoma. With Seminole State, Jones is among those listed on the school's Web site as going from there to the pros. Jones was also signed by the Giants as a pitcher. Sent to short-season Everett that year, Jones served as a reliever, getting into 24 games and posting a 2.20 ERA. In 49 innings, he struck out 33. For 1990, though, he switched to the infield. He also switched to the Reds. With rookie Billings, Jones played 32 games at third base, seven at first and one at second. In 46 total games where he saw action, Jones hit .278, with five home runs. 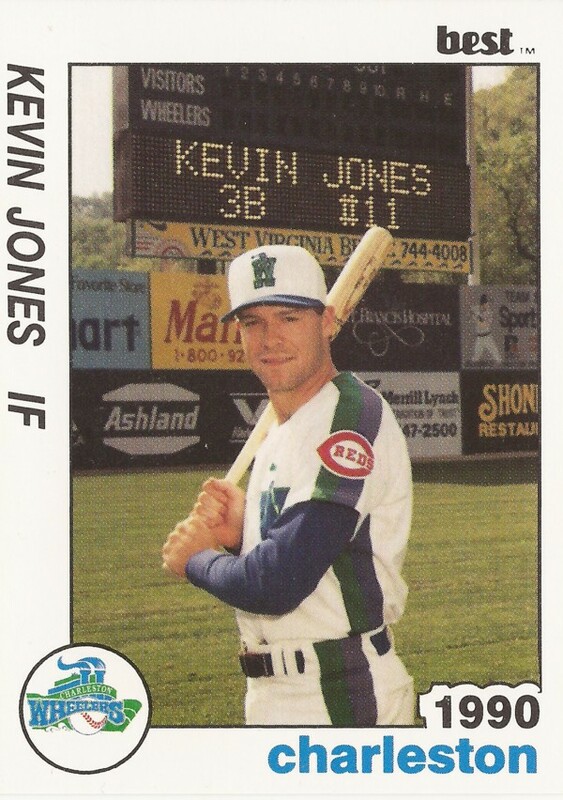 Also in 1990, Jones got six games at single-A Charleston. There, he got just one hit in 12 at bats. Jones is credited with coming back in just one more season, 1991. He also came back with the team he helped beat with that bloop single in 1990, Salt Lake. His stay there, though, was brief, just six games. He picked up two hits in 18 at bats, ending his professional career.